A study was undertaken to understand the fusion zone fracture behaviour of electron beam welded α+β-titanium alloy Ti-6.5 Al-3.3 Mo-1.8 Zr and 0.25 Si. 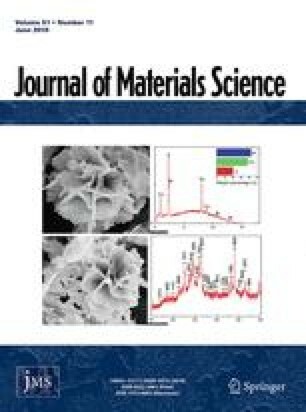 The effect of base metal microstructure, the amount of heat input and post weld heat treatment cycle on the all-weld tensile properties and fracture behaviour was investigated in this work. In general, it was found that the tensile strength and ductility of α+β-base welds are higher than that of the β-base welds and the difference was attributed to the presence of wider fusion zone grains of β-base welds. The β-base weld tensile specimens always exhibited an intergranular fracture mode irrespective of the amount of heat input. The single pass low heat input α+β-base welds failed by ductile transgranular fracture mode, while high heat input single pass welds failed by a mixed mode (intergranular plus faceted) fracture. In general high heat input welds showed low ductility mainly on account of the strain localization effects at the grain boundary alpha phase. Post-weld heat treatments of α+β-base welds resulted in the improvement of tensile ductility and were associated with transgranular fracture due to the absence of strain localization effects at the grain boundary alpha phase.